It’s warming up and I can’t wait to start spending my days outside. We have a deck off the back of our living room and below that a space for a future patio off our walk-out basement. We probably won’t get to that project this year, but a girl can dream right? We use the deck to grill and eat, I would love the lower patio to be a place where we can lounge and watch the kids play in the back yard. I went to my favorite place for (affordable) inspiration; Target! Take a look at my dream patio. I love blue and green tones in an outdoor space, a natural feel with modern touches. What does your dream outdoor space entail? I love your dream patio, too! We have a small deck, but my dream is to build a larger one and a sun room off the back of my great room. I’m dreaming, too. Oh it’s fun to dream, I would love a sunroom! Hey Bobbie, glad you found me. I’ll check out your party. Very nice! I love the style and especially the colors. That shade of green is my favorite. Love the blues and greens together. The weather is getting warmer and I have been wanting to get our patio together but it takes money I’m not ready to spend. Oh I know, I love to dream but actually pulling the trigger and spending the money is so hard to do. Thanks for visiting! I love the turquoise accents you chose, and those chairs look super comfy! Stopping by from the link up. 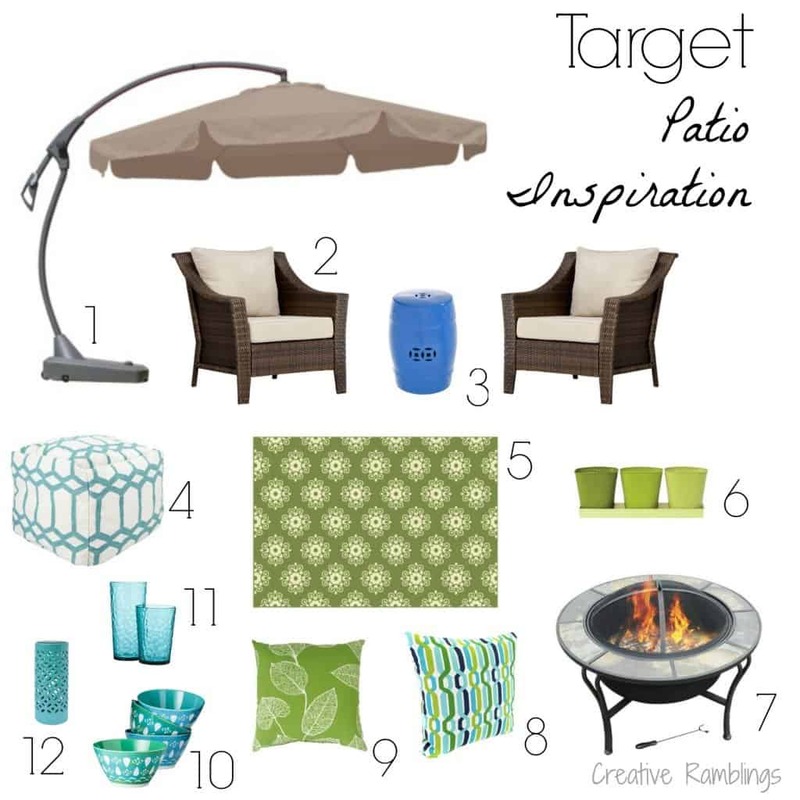 I love your Target patio inspiration, I’m planning on getting some of their patio things when they go on sale! That’s the best time to buy Maggie! Thanks for stopping by.